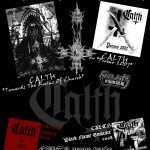 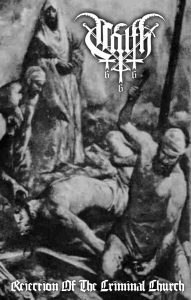 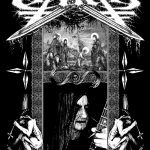 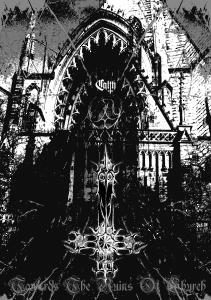 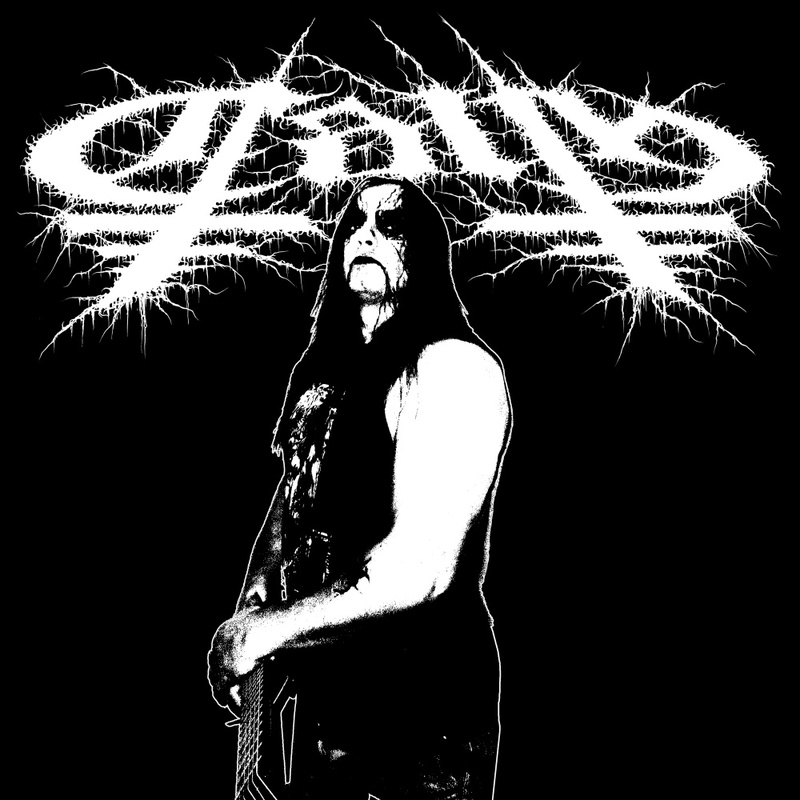 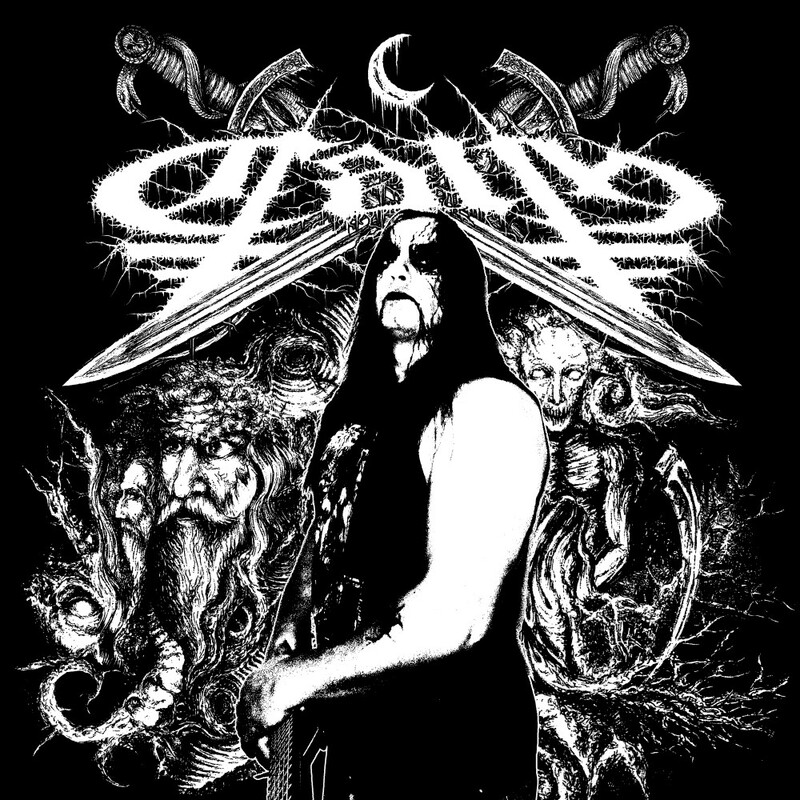 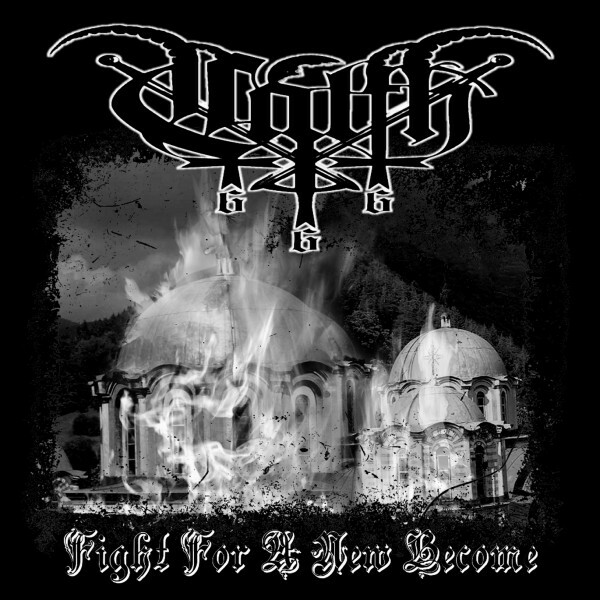 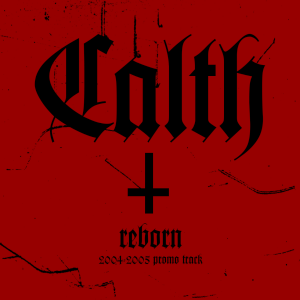 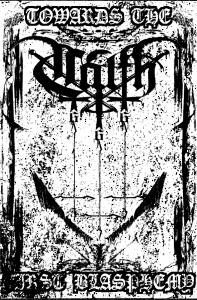 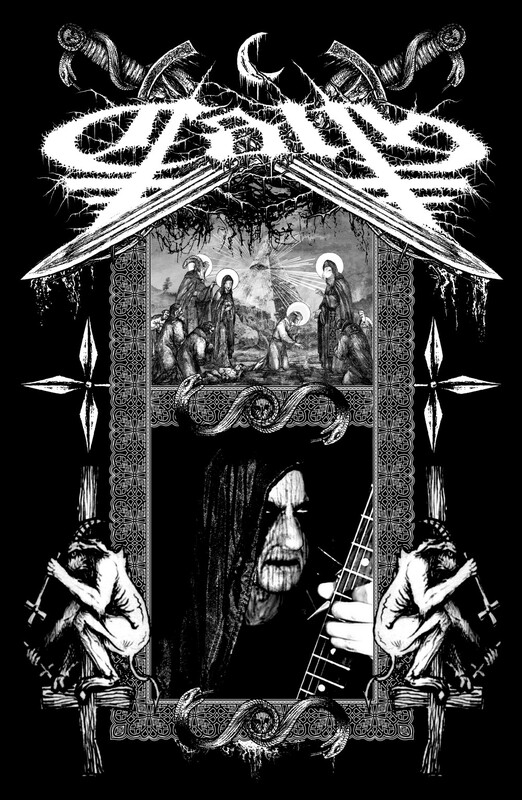 The idea for the black metal band Calth was born in 2004 and the first promo track - "Reborn" was recorded. cover artwork. 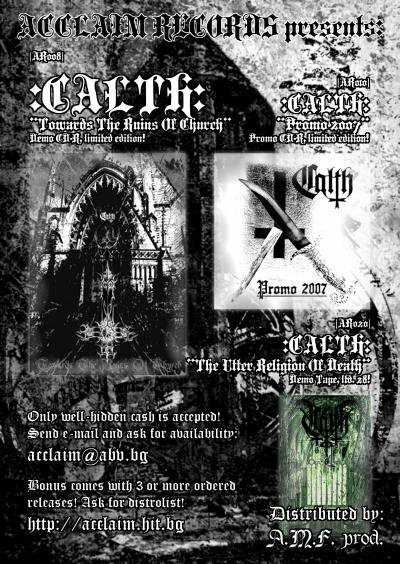 A very small edition promo CD-R was released by Acclaim Records, having only two tracks from "Domini"
first promo/demo recording of Calth and it was released as limited edition CD-R by Acclaim Records. 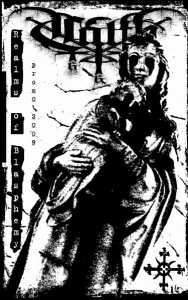 Contains three tracks only. 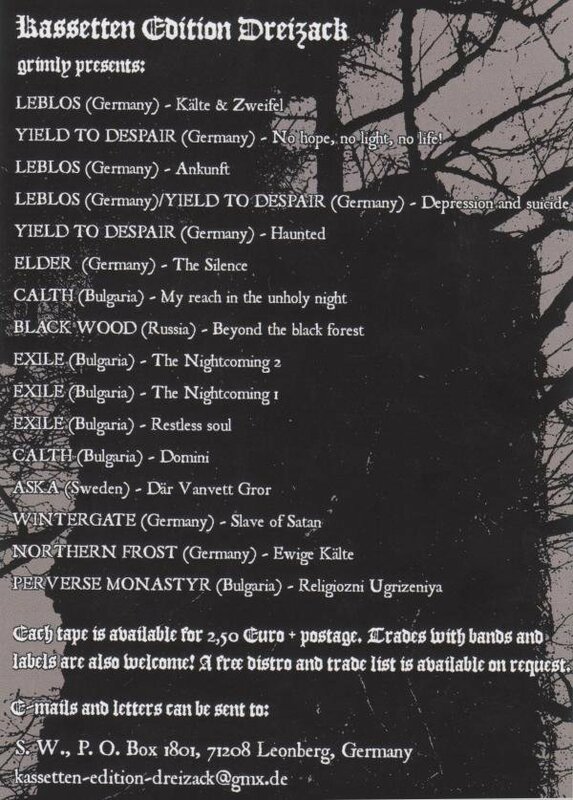 "Black Flame Embrace" promo track was recorded in 2008 with lyrics in Bulgarian for a first time. 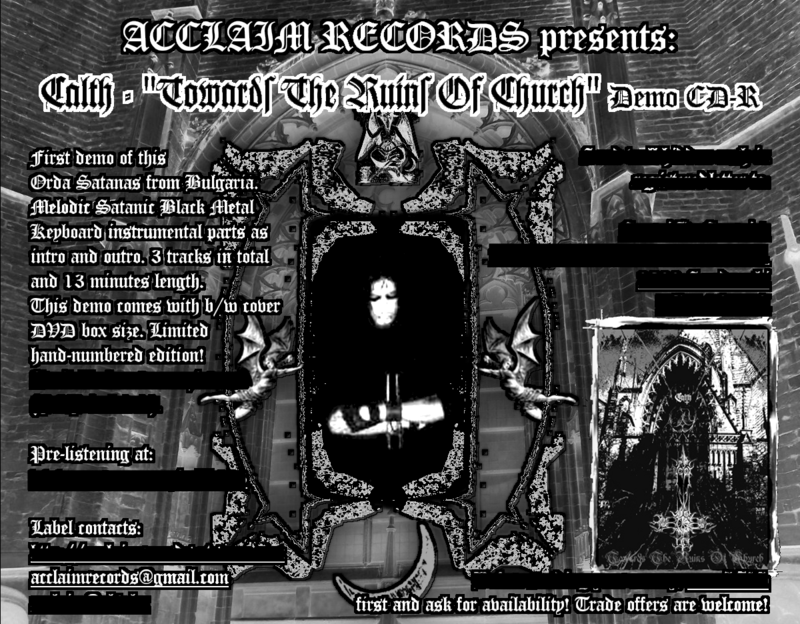 from "Towards the Ruins of Church" demo and the early version of the track "Reborn". 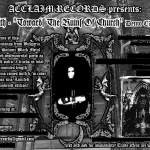 Acclaim Records. There are three tracks from "Fight for a New Become" and two from "Domini". 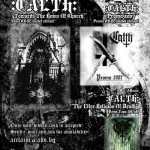 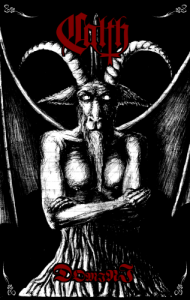 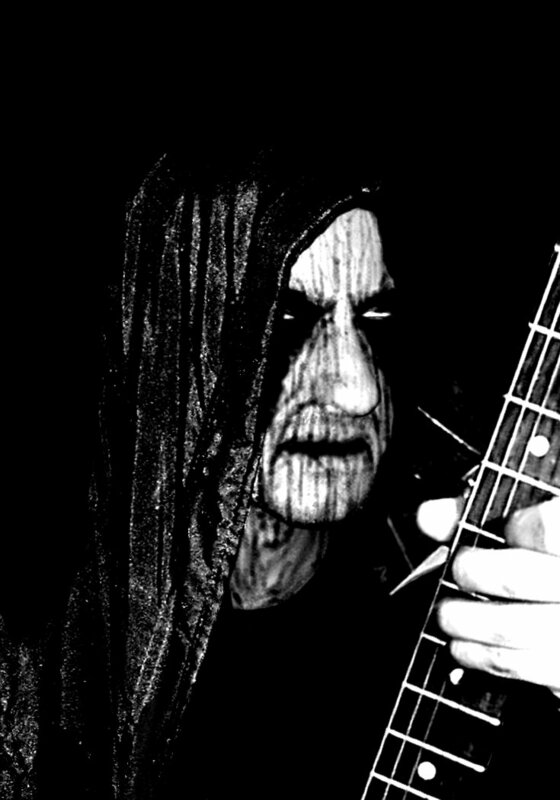 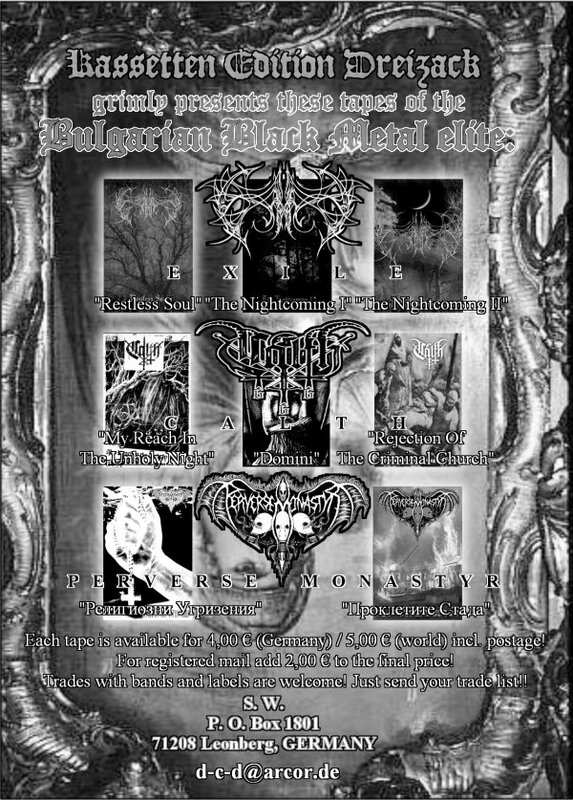 "Black Flame Embrace" promo track from 2008 and "The Utter Religion of Death" from 2007. 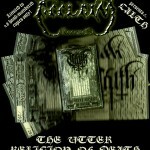 (Russia) in the summer of 2009. 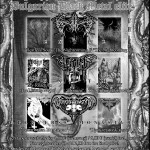 Nine tracks on limited edition pro-CD-R with black/white cover artwork. 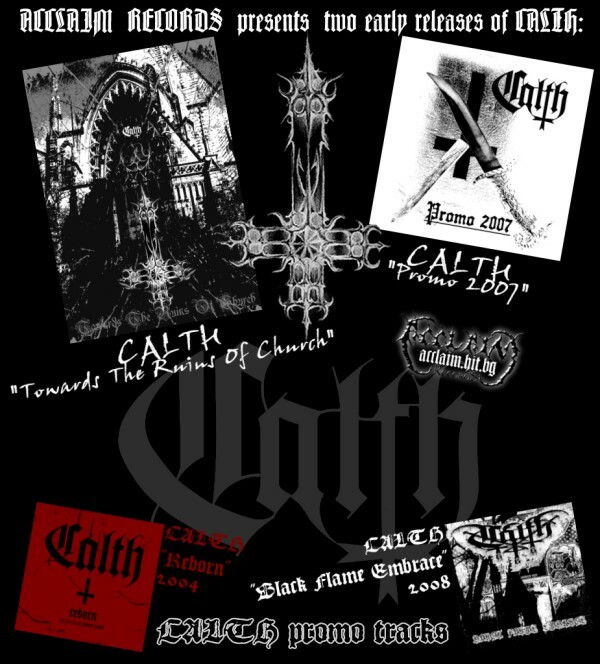 a little differences than the album ones. A new album entitled "Unrevelation" was recorded in Phoenix, Arizona, USA in late April 2015.
to 500 hand-numbered copies. 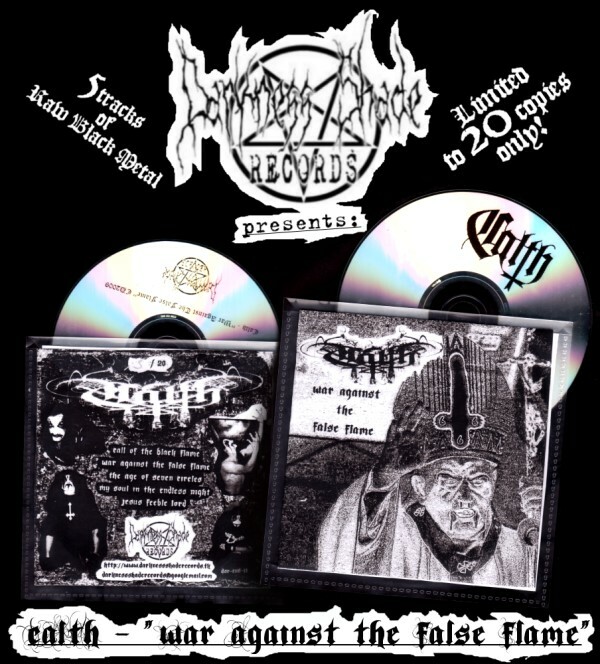 This release also contains 5 bonus tracks from 2007. 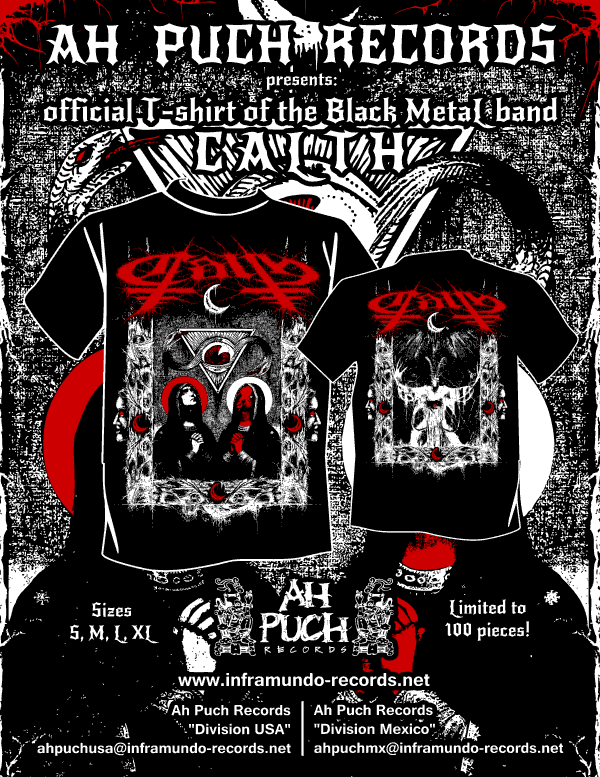 The first 100 copies of it are a Die Hard edition: poster, patch and stickers are coming with it. 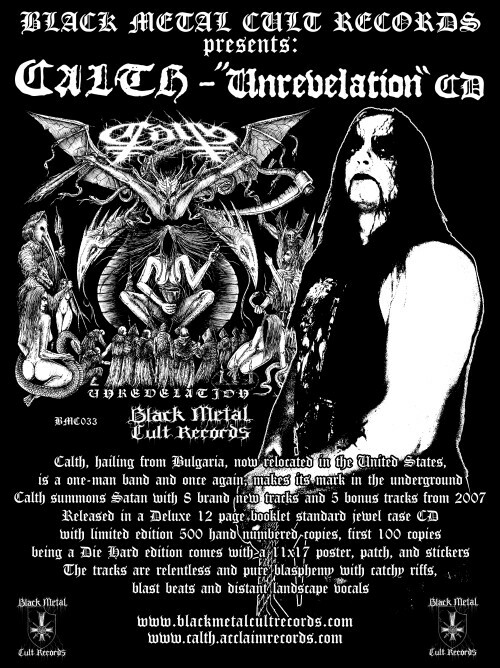 In June 2, 2016 was released a Cassette Tape version of the album "Unrevelation". 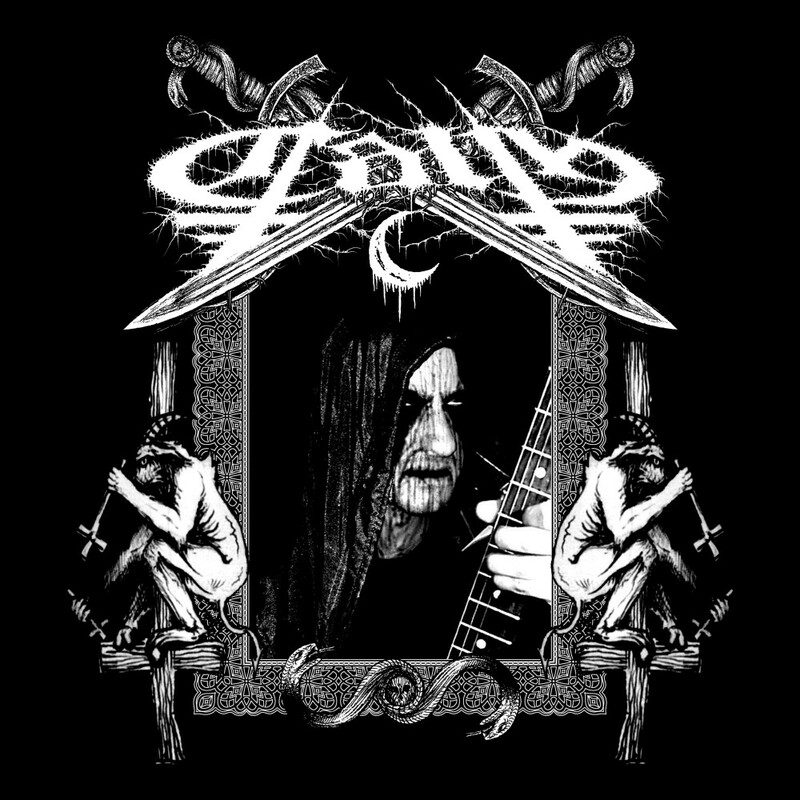 from the album + one bonus track (Darkthrone - Lifeless cover). 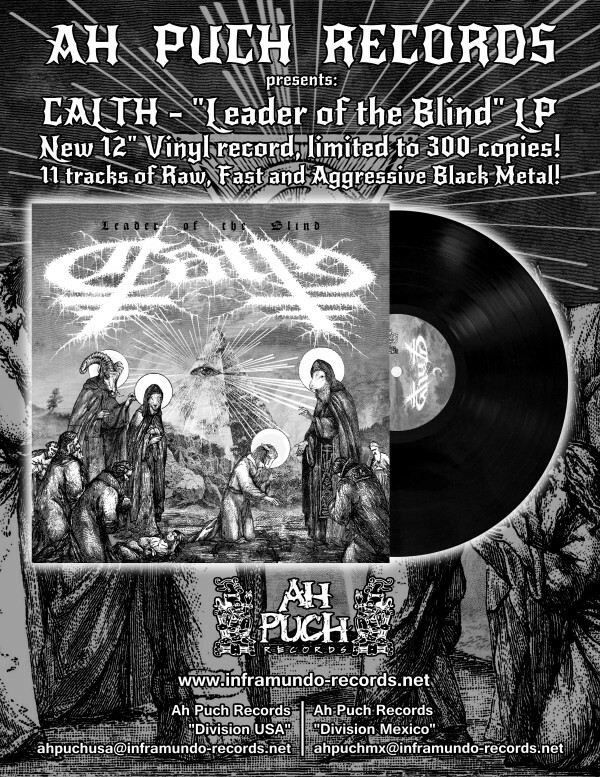 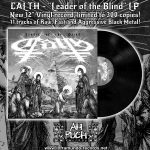 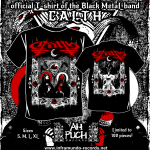 In 2018 the first CALTH vinyl record comes out by Ah Puch Records (USA). It's limited to 300 copies and includes tracks from 2007 and 2015. 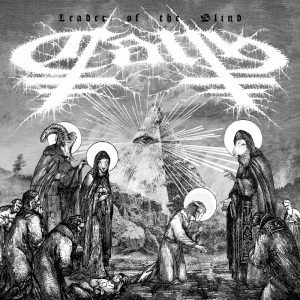 Recorded in 2015, Phoenix, Arizona, USA. 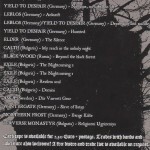 Bonus tracks on CD version recorded in 2007. 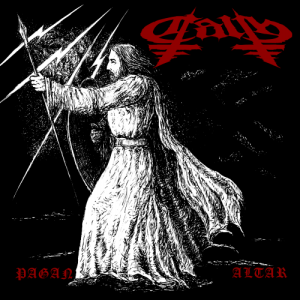 Bonus track on tape version recorded in 2015. 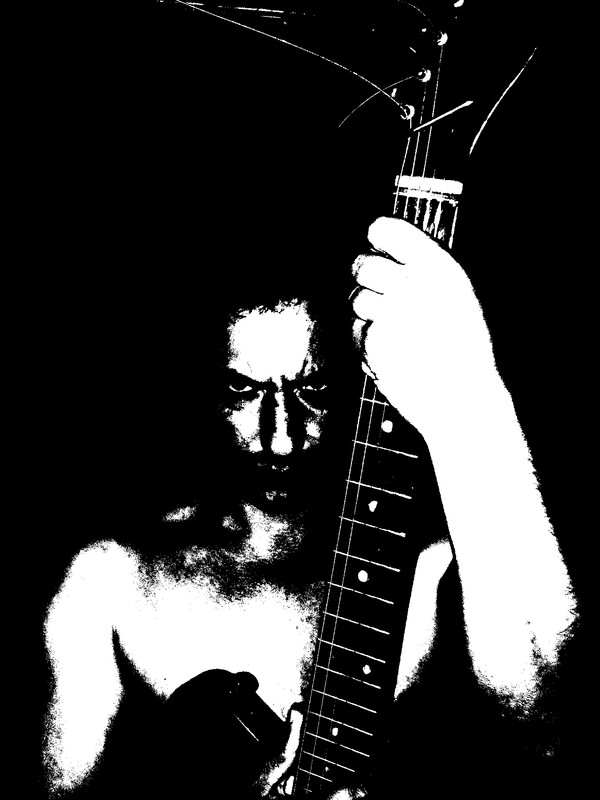 All instruments, voice, music & lyrics by Erilyne. 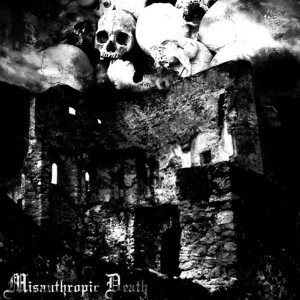 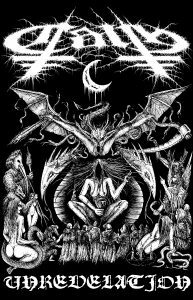 2015 CD, ltd. 500 by Black Metal Cult records (Executive producer: Demogorgon 88). 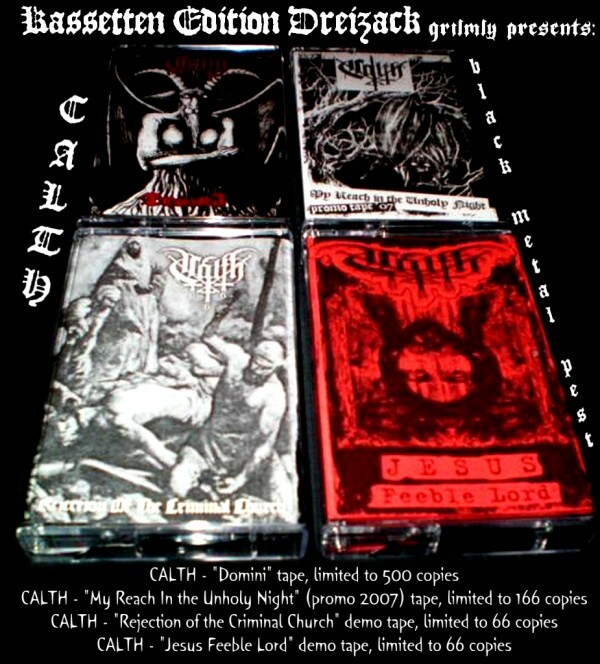 2016 Tape, ltd. 200 by Southern Plague records. 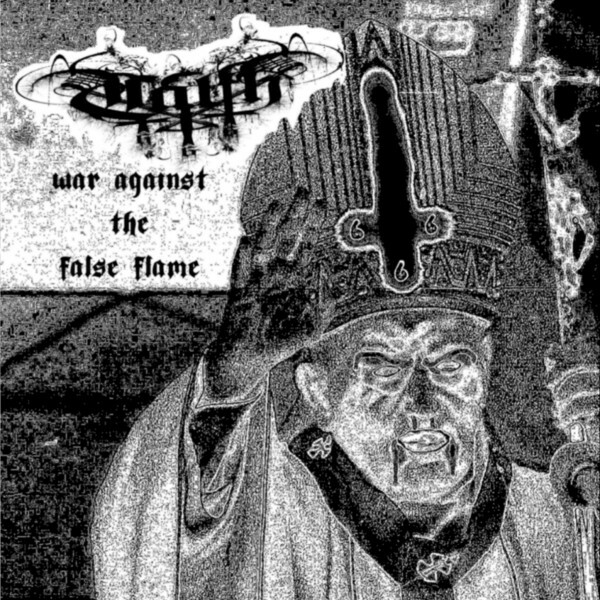 Recorded in 2007. 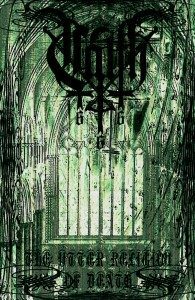 All instruments, voice, music & lyrics by Erilyne. 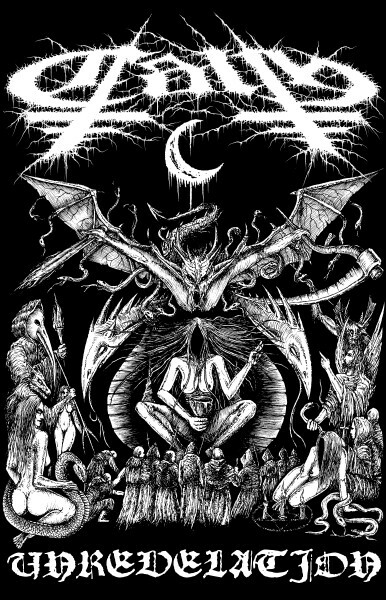 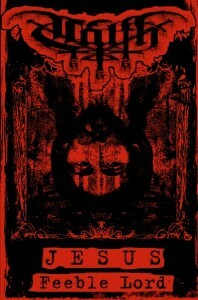 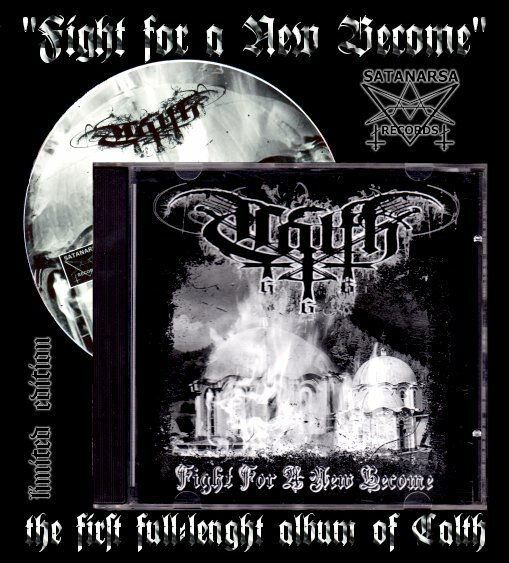 Released by Satanarsa Records in 2009. 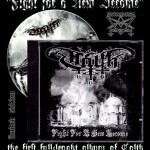 CD limited to 500 copies by Ewiges Eis Records 2009. Recorded in 2009. All instruments, voice, music & lyrics by Erilyne. 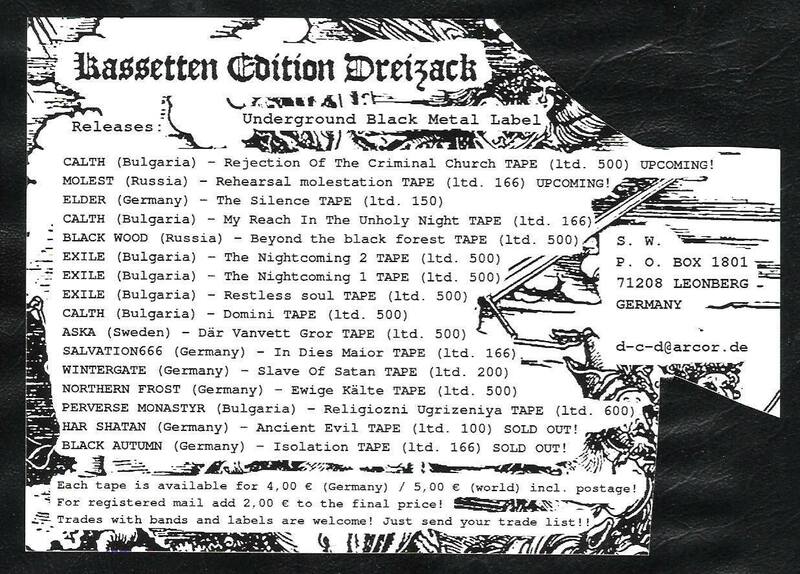 Tape limited to 33 copies by Kassetten Edition Dreizack 2009. 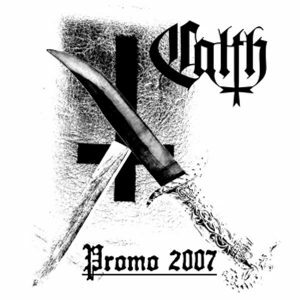 2004-2009. 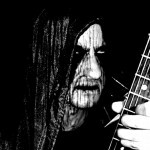 All instruments, voice, music & lyrics by Erilyne. 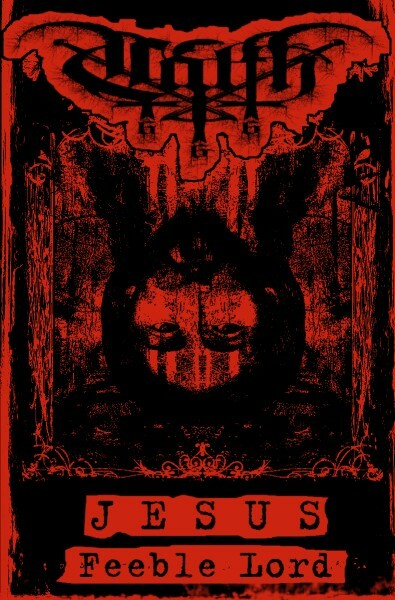 Recorded 2004-2007. 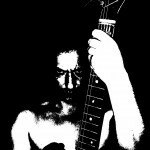 All instruments, voice, music & lyrics by Erilyne. 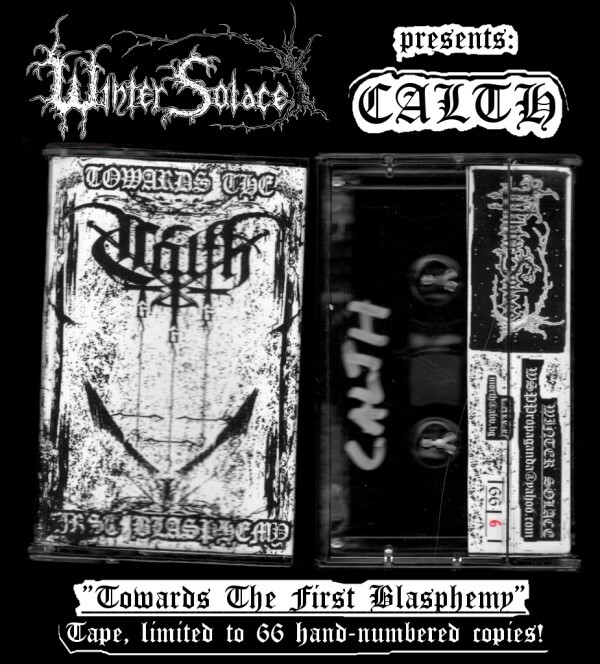 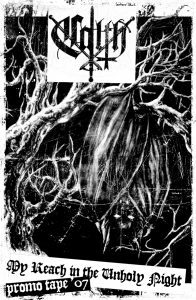 Tape limited to 66 copies by Winter Solace productions 2008. 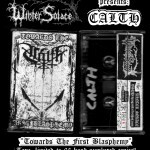 Tape limited to 28 copies by Acclaim Records 2008. 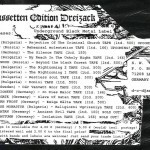 Tape limited to 166 copies by Kassetten Edition Dreizack 2007. 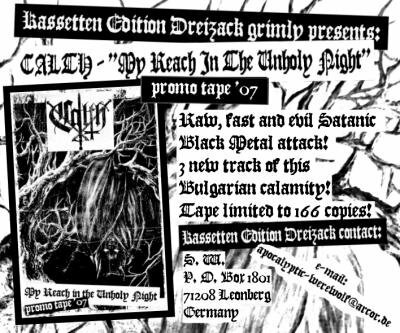 Tape limited to 500 copies by Kassetten Edition Dreizack 2007. 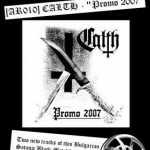 CD-r by Acclaim Records 2007.